relaxing, health sport products to each of our clients. We are committed to backing up with friendly, responsive services to create useful products to meet theneeds of loyal customers around the world. to help track and monitor your workouts. 8 resistance levels, allow you to adjust and control the intensity of your workout to match your need. Whether you want an extended, light-resistance workout or an intense session, the adjustable resistance offer you full control. 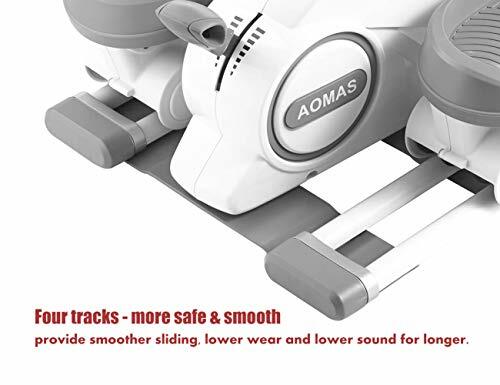 AOMAS Body Elliptical Trainer will adjust to your needs. per minute, the total number of strides, exercise time, and calories burned. at home, office or anywhere you want. Easily detach the bands from the stepper by unlatching the clips. Any issues or suggestions, contact us and 24-hour reply is guaranteed. We are committed to 100% customer satisfaction. 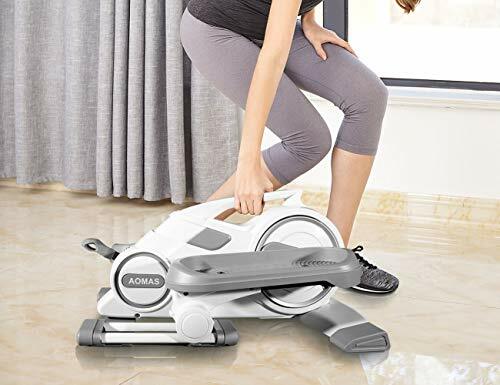 ?Designed For Comfort: Ergonomic angles provide a smooth elliptical exercise that is low impact on your joints, allows you to work out your body while sitting or standing up, giving you a varied workout. ?Free FitShow APP: Bluetooth Smart fitness with Free FitShow APP available on iOS/Android, customize your slimming plan according to your needs, accurately record your trajectory, make the movement no longer monotonous, and make friends with PK to make fitness a pleasure. 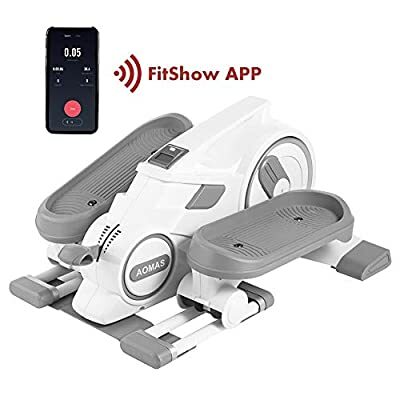 ?Non-slip Widened Pedal: The elliptical trainer with two large non-slip textured pedals, secure your feet and ensure high comfort. 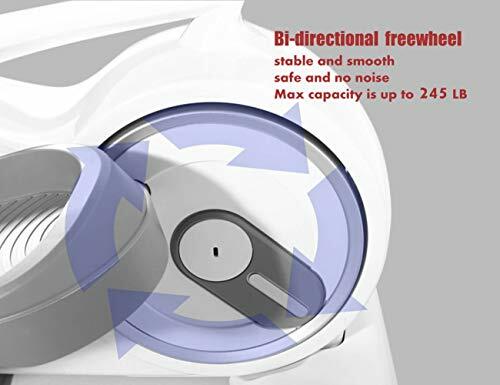 It is designed specifically to be whisper quiet, discreetly workout at the office or home without disturbing those around you. 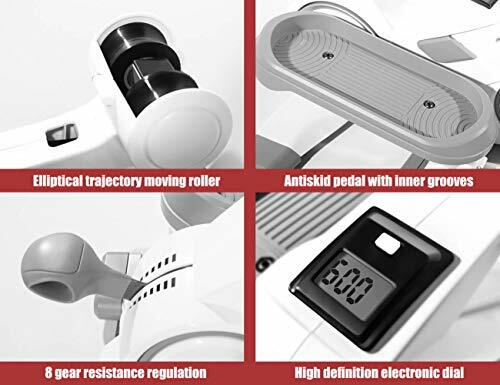 ?Adjustable Resistance: with 8 resistance levels, allow you to adjust and control the intensity of your workout to match your need. And equipped with removable training bands, convenient for you to do exercise at home, office or anywhere you want. 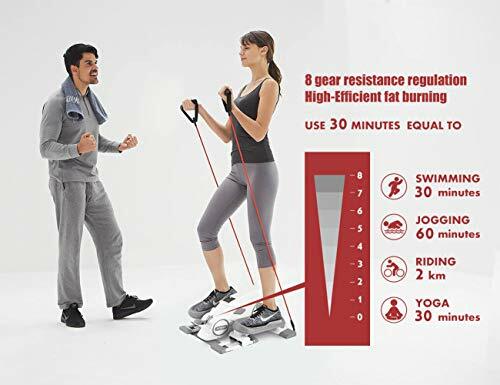 ?Multi-Function Monitor: You can monitor your strides per minute, total strides, time elapsed, and calories burned on your phone or on the LCD display, making your exercise more reasonable and effective.